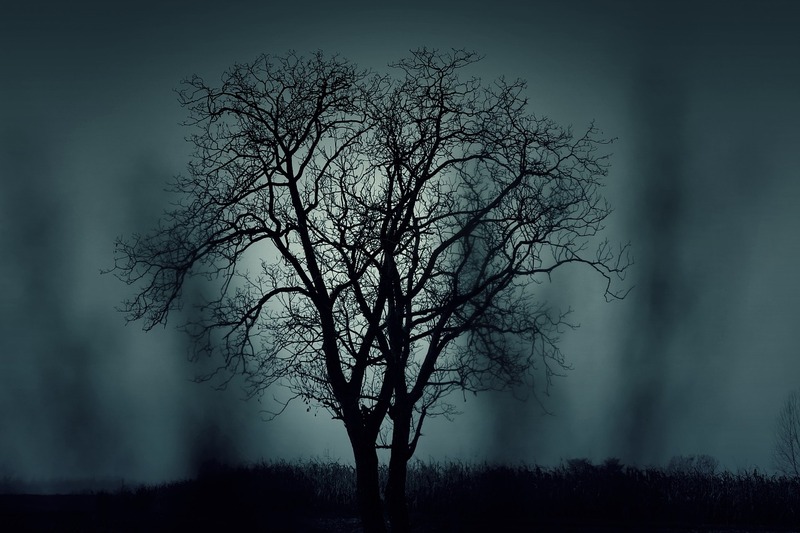 Make Sure Fright Night is a Safe Night - Scarsdale Premier Insurance Agency | Advocate Brokerage Corp.
For some Halloween is a night for perfect for having fun with friends. For others it is a fright filled night that opens up your family and your property to risks. Insurance claims increase around this time of year so we thought we would cover some of the types of claims we often see and offer some tips to help protect you, your family and your property. 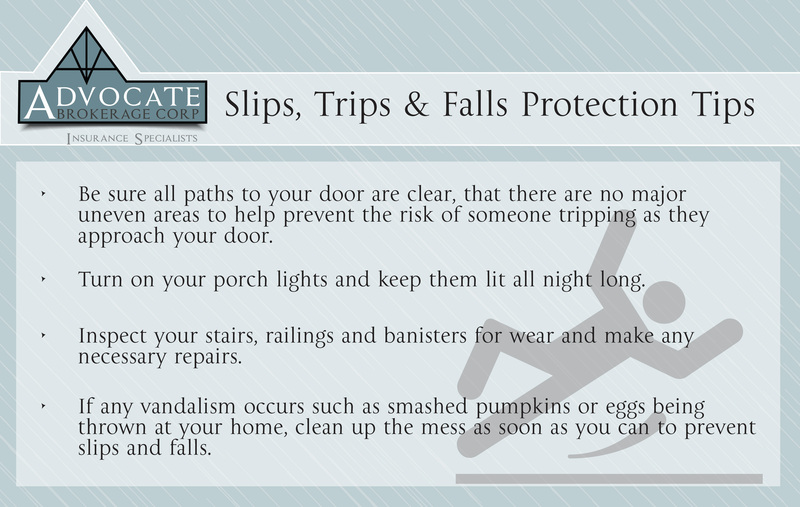 When it comes to slips, trips and falls, in insurance terms we are talking about liability risks. Luckily your homeowner’s insurance policy offers you some level of protection. These types of incidents that occur from neighborhood children trick or treating at your home would likely be covered. Incidents that occur inside your home (should you invite any visitors inside) would also likely be covered by your. Nervous pets that bite visitors to your home would also be considered a liability risk. Again your homeowner’s policy would also likely offer you coverage. 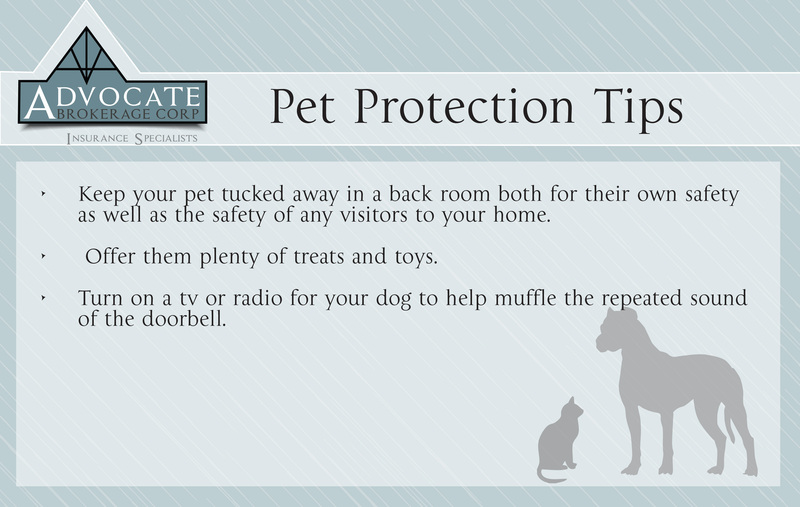 When you love your pets as much as we do, it is best to consider some our tips below. Unfortunately Halloween has become a holiday that brings out the mischief makers. Claims related to vandalism can be attributed to 19% of the claims filed for October 31st. 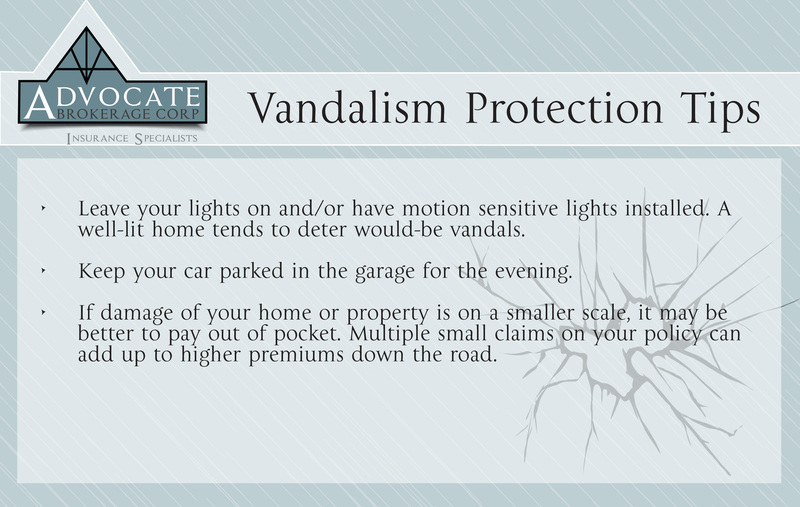 The good news is that most standard homeowner’s insurance policies do cover damages from vandalism. Carving pumpkins may be a favorite family tradition at this time of year but the candle you put inside could turn your fun activity into a frightful one. Between the decorations that include straw and dried corn stalks and the costumes with flowing sleeves, your cool looking jack-o-lantern could be a recipe for disaster. It may be comforting to know that if vandalism is done to a family plot or tombstone not located at your home, your homeowner’s policy may still offer some coverage. As your insurance Advocate, we want to keep you informed of all insurance risks you may face this Halloween. 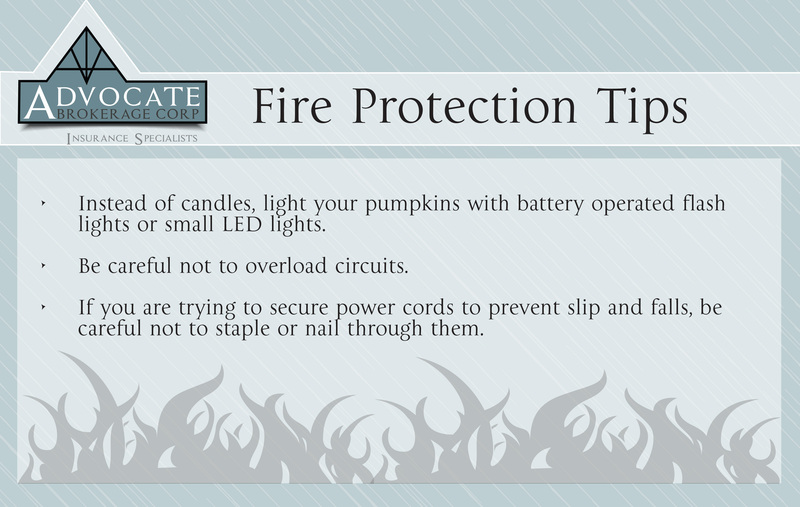 Take advantage of these tips to make sure that your Fright Night is both fun and safe. If you have any questions related to your coverage, please give us a call. Please also look out for our blog about surviving Halloween with teens!